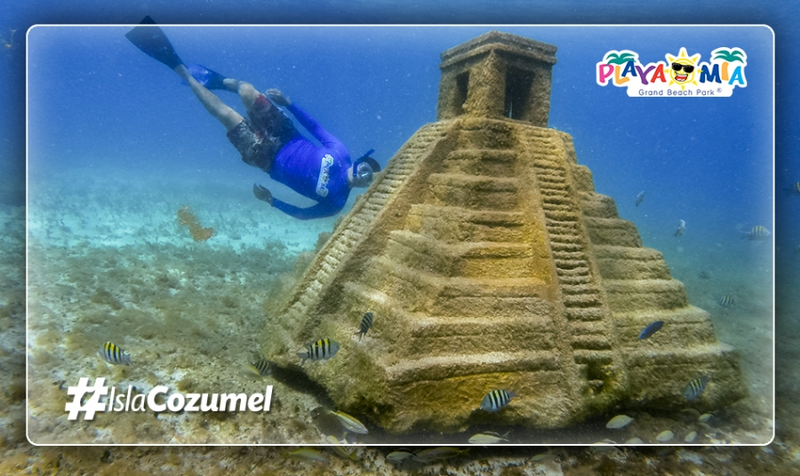 Today, Cozumel is a coveted vacation destination that attracts visitors from all over the globe. But it was initially settled by the ancient Mayans over 1,000 years ago – and their presence can still be felt today. When Did the Maya Settle the Island of Cozumel? The Maya first came to the island sometime around 300-900 A.D. or perhaps even before. This blissful, beach-ringed island was held sacred to the Mayan Moon Goddess of Fertility known as Ix Chel. Temples were built at sites like San Gervasio and became important pilgrimage sites, particularly for women who desired to become pregnant. Ix Chel was also the goddess of childbirth, medicine, and weaving. Where Can I See Mayan Ruins in Cozumel? When the Spanish arrived to the island in 1518, there were numerous temples. Unfortunately, many have been destroyed, but you can still see ancient Maya ruins in the center of the island at San Gervasio. Abandoned shortly after the Spanish arrived, these ruins are part of the former sanctuary to the goddess. Visit the sacred site of pilgrimage to feel the echoes of the pre-Columbian Mayan civilization. Are you planning a Caribbean adventure to Cozumel? Have fun in the sun all day at Playa Mia Grand Beach Park, an epic island playground with awesome tours and 20 free attractions. Buy your beach day passes today!